I have been contemplating on writing about my situation for a few months now. It is not something that is easy to discuss or even come to terms with. In April, Brian and I decided to separate. He moved out into his own apartment and we are moving forward with a divorce. I can 100% say that I never imagined I would be where I am right now. I always assumed we would be together for ever. It’s funny how when you are in a relationship that isn’t working you try so hard to make it work. Or pretend it’s working. That was our case. Being truly best friends it was hard to make the choice to end our 15 year relationship. Neither one of us wanted this for our kids. Many factors went into our decision to end things between us. Details are not a part of this post. 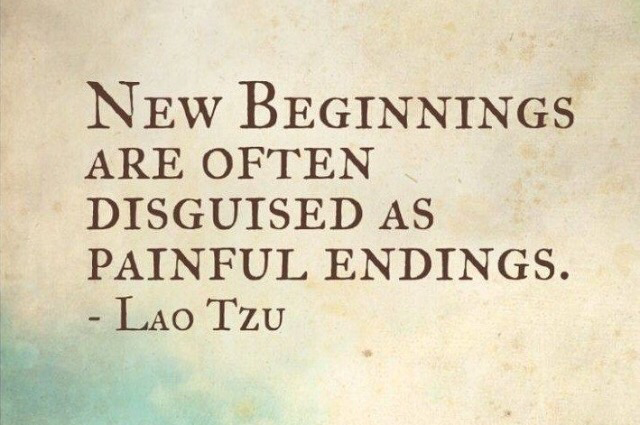 The purpose of this post is to accept a new beginning. To learn to live in the now and not the past. I can not change the past. It has molded me into the person I am today. I like the person I am and see no need to change. Out of all of this I expect to find myself as a much more confident and independent person. That’s not to say I don’t have bad days. There are more sad days than not. Let me rephrase that. There are many sad moments. There are also happy moments. I try to be in control of my thoughts and feelings. For the most part it has been good. Then there are times my mind does not let me control it and it goes there, to that dark, sad, lonely place. And sometimes you need to have those feelings to heal. They are a very necessary part of the healing process. I am handling my situation as a newly single, 33 year old mother of two the best I know how. I have an amazing support system. In April when this all began my family and friends rallied around me. I’m incredibly lucky to have them and a day does not go by that I am not grateful for them. They do not live close by but always took my call and listened to me, Advised me, consoled me, visited me and just lifted me up because I couldn’t. If it was not for those people I may not have made it through the past few months the way I have. My Massachusetts family have been nothing but amazingly supportive as well. Being far away from my people they have stepped in and really helped me. Wether it’s taking my kids, bringing me dinner, just listening to me constantly be a Debbie downer, they have truly helped me through the hardest time of my life. For them I will alway be grateful. I am looking to start the next chapter of my life. I hope to move back to my home, Black Rock, CT. The place I loved every second of living for five years. I look forward to a fresh start with my boys and my dogs. The independence I have never had in my life. Living on my own, paying MY bills, planning MY days, making decisions based on what is best for the kids and I. I’m scared to death of all of this. I know in my heart I need to do this. And Black Rock is where I need to be. Being able to step out of your dark place and imagine what you really want is helpful in taking the steps to get there. I believe in visualization. I visualize my boys and I living in an apartment and loving it. The boys have friends there already so the transition will be smooth. I found this a few weeks back. It is so true. Endings are always painful. New beginnings are exciting. I’m mourning the end of my marraige and trying very hard to accept my new beginning. None of this is easy for any of us. Together we are going to make it through. We are not together but we need togetherness. That is so important. The boys need a mom and a dad that are always in their life. Even if their parents are not. As a child of divorce I know the pain they feel. I understand. It’s up to Brian and I to make them feel loved and cherished. Whatever happened between Brian and I has nothing to do with parenting our kids. If we can get through this and they know that We cherish them I will be proud of us. Speaking of endings. This will be the last post of Our Little Bungalow. This was a special place to share my life with my family. It will always be a special place. A place I return to look back at happier times. I plan to start a new blog soon. I am working on it currently. I’m not sure what I will be discussing on there or when it will be published. So stay tuned. Your family loves you and supports you no matter what!!! We are only a phone call away!! Love you! !